In the third instalment in the creepy, captivating Larten Crepsley series, Larten finds out what it means to love… but is he also damned to find out what it means to lose? Lost in the arctic waste, carrying a baby whose love he could never deserve, Larten faces the darkest time he has ever known. But hope has a way of shining through even the smallest of cracks, and just as Larten reaches the end, a new beginning presents itself. The trouble is, for Larten, the violence of his youth is never far from the surface… and those he loves are the ones he hurts the most. As Larten experiences heaven and hell, and tries to save the soul of a child, the question is: can he save his own? 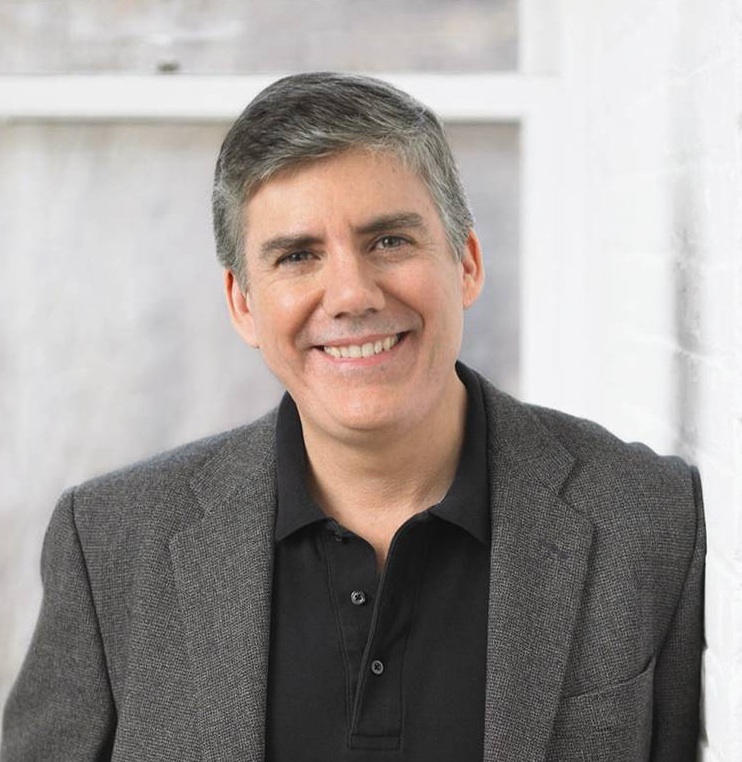 Has Darren Shan sold his soul to the devil? That's a question I have asked myself after finishing all three of the books I have read so far in The Saga of Larten Crepsley. Why? Because the man has not failed to deliver even once, so surely there must be more than natural talent at play here? I will try to make this review as spoiler-free as possible as far as Palace of the Damned is concerned, but if you have not yet read Ocean of Blood yet then you may want to navigate away from this page now by clicking here now. OK... for those of you still reading, Palace of the Damned picks up pretty much straight after the dramatic and bloody conclusion to the second book in the series. Larten is full of self-loathing following his actions on the Pearly Tornado, and he is now heading into the frozen Arctic wasteland where he intends to put himself out of his misery for good. Things are slightly complicated by the fact that he is still carrying the baby he 'rescued' from the ship, and with no sign of any form of civilization it looks as if this young child may die with him. However, after what seems like days he finds himself led to the legendary Palace of the book's title where something happens that changes everything. And there is no way that I am going to tell you what that is, although we do witness the naming of the baby. Following the release of Ocean of Blood, and Larten's taking of the baby, there was some excitement among many fans as they speculated as to who the baby was, with most of them getting it spot on, and as this happens in the first few chapters of the book I don't think it is too much of a spoiler to say that it is Gavner Purl (but I'm not taking any chances.... highlight that space if you're not bothered about finding out the identity of the child). 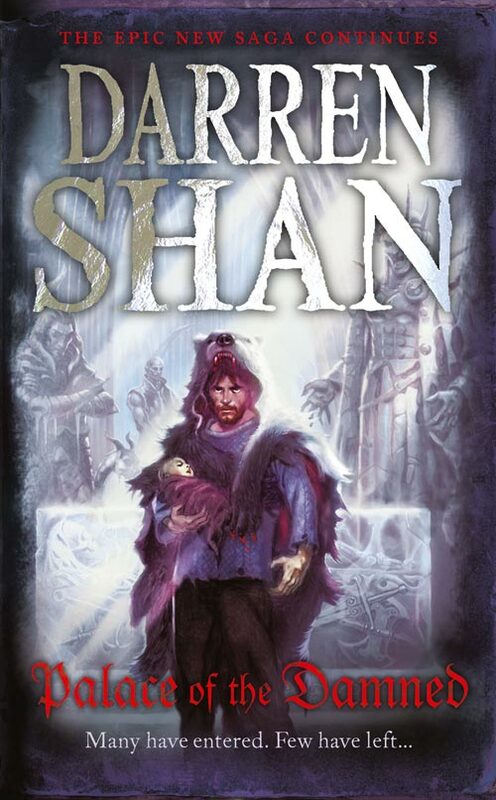 Yet again, Darren Shan treats his readers to another key morsel in the history of Larten Crepsley and this character goes on to play an important role in the rest of this book. As in the previous two books in this series Palace of the Damned is split into several parts, with sometimes lengthy jumps in time between each one. So, after the first three chapters we leap forward from the Arctic wasteland to Paris, 1906, and herein lies my only criticism of this this book - I wanted it to be much longer. It is only 256 pages in length and I reckon there is easily another 50 plus pages of story that could be told to fill in some of the jumps in time (how did Larten and the child get to Paris for starters?). Maybe I am being just a little too picky as not all of the jumps in time are quite so huge though; in fact, the jump from Paris to Larten's next destination happens at just the right time in the story, and to fill in that journey with more detail would not have added to the story. I guess I am just greedy for more history of this great character. I loved Ocean of Blood because of its focus on Larten's formative 'teenage' years, when he was initially full of reckless abandon, and then later seeing the influence various others had on his development towards 'adult' vampirehood. In this book we see yet another change in Larten as his life journey continues: he is still full of regret at his massacre of the people on the Pearly Tornado, but in Paris he faces another challenge as he falls in love with a human. Of course, Larten being Larten he omits to inform her that he is a vampire and therefore it was only going to be a matter of time before..... (I told you it would be spoiler free). However, his relationships with Alicia (for that is her name) and the child he rescued that she adopts as her own, are of paramount importance to the rest of his story in this instalment, right up until the final page where we are left hanging with those dreaded words To be continued..... If you are weak like me you will then go on to read the sample opening chapter of book four, to be titled Brothers To The Death. I kind of wish I hadn't done this, and I wish HarperCollins hadn't included it at the end of the book, as on reflection I qould have liked to be kept in suspense for the next six months or so. However, it wasn't all bad as this sample chapter does itself end on a cracking 'ooohhh-can't-wait-to-read-the-next-book' moment. 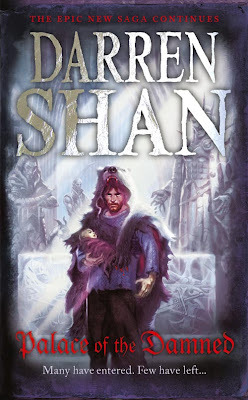 All in all Palace of the Damned is yet another superb addition to the saga from Darren Shan and I loved the way he has developed his character even more and we are now really beginning to see the Larten we first met in Cirque du Freak, although I am saddened a little by the fact that there is only one more book left in the series. I wonder what Darren has planned for his legion of fans once he has finished telling Larten's story? Palace of the Damned was released in the UK yesterday and my thanks go to the good people at HarperCollins for sending me a copy to review. Tonight I am off to see Darren Shan with Charlie Higson at the Bath Festival of Children's Literature and I am really looking forward to it. Watch this space for a report on the event. A week ago I posted my review of Kirsty McKay's Undead, a superb book for young horror lovers who love their zombies, and a fun read for zombie lovers of all ages. Now Kirsty is nearing the end of her week-long blog tour and today she has stopped by The Book Zone to read to us a short passage from Undead. Hand around after you have watched the video as I will be telling you how you could win a copy (possibly signed) of Undead. As you know, I have read the rest of the book, and if you like zombies it really is that good. So, if you want to win a copy courtesy of the good people at Chicken House Books then all you have to do is fill in the form below by the closing date and then I will draw a winner at random. Closing date is 8pm GMT Tuesday 4th October (sorry, UK residents only for this one). Neither the author or I will not be held responsible for items lost in the mail. I hold the right to end a contest before its original deadline without any prior notice. I will contact winning entrants for their postal address following the close of the competition. Winners have 48 hours to reply. Failure to do so in this time will result in another winner being randomly selected. Wow... I am sort of lost for words right this moment. When I started this blog my intention was to try to share my knowledge of boy-friendly books with a hope that one or two parents may find something I wrote useful in helping their sons to develop an interest in reading. At no point did I think, less than two years on, that I would be hosting a Q&A with one of my writing heroes, and one of the most famous author of children's books in the world. Imagine my surprise and complete excitement when I received an email from just so for Puffin Books asking if I would be interested in taking part in a Rick Riordan blog tour. I was actually supposed to be taking minutes in a meeting at work and only god knows what was discussed for the next few minutes as my mind was suddenly elsewhere! Today is Day One of Rick's Olympian Week Blog Tour, where he will be visiting seven UK blogs in order to celebrate the return of Percy Jackson (how great does that sounds PJ fans?) in the new Heroes of Olympus book, titled The Son of Neptune. Each day we will be honouring a different Greek god, and I chose Ares for The Book Zone. Let's face it - who else would be the most apt for this boy blog than the God of War himself. I have always loved the way that Rick portrayed Ares as a leather-clad biker complete with Harley Davidson, in the Percy Jackson books and even though he was often out to ruin things for Percy and his friends I couldn't help but look forward to any new appearance of his character. Since I started The Book Zone I have received quite a number of emails from parents asking for advice regarding their son/daughter as he/she has ADHD and/or dyslexia. Knowing that Rick first wrote Percy Jackson and the Lightning Thief for his son Haley who has both of these conditions I really wanted to tap into his expert knowledge for this Q&A. My huge thanks go to Rick for taking the time to answer my questions, and readers please don't shoot off straight after the interview as I have news about a great competition that is being run at the moment. 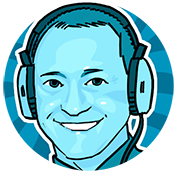 BZ: Rick, thank you so much for taking the time to answer these questions for us. Your books are great at engaging reluctant readers. Was this something you were consciously trying to achieve as you wrote the original Percy Jackson series? RR: The story was originally for my dyslexic son, who was very much a reluctant reader, so yes, it was a conscious decision. My years of teaching definitely helped me craft the stories, too. I always imagine reading the books to my own classroom. I try to keep the story moving, inject plenty or humor and action, and keep things relevant for modern kids. BZ: I have loved reading books ever since I was a child. Were you like this when you were younger or were you a reluctant reader? Who encouraged you to read when you were younger? RR: I was a reluctant reader until I was in middle school (around age 13). That’s why I have a lot of sympathy for reluctant readers. I liked to read with my parents, and I still think that’s one of the most powerful and important ways for a family to spend time together. I remember reading E.B. White and Roald Dahl with my mom, and mythology and tall tales with my dad. But I was never a child who would sit down and read just for fun. Later, however, I got into fantasy and would spend hours in Middle Earth. My middle school English teacher showed me how the Lord of the Rings was derived from Norse mythology, and I’ve been hooked on myths ever since. BZ: It is now popular knowledge that the original Percy Jackson came into being through your attempts to motivate your son Haley after he had been diagnosed with dyslexia and ADHD. What effect did the books have on Haley? RR: Over the years, Haley and Percy have grown up together. Percy became a hero. Haley did some pretty heroic things too. He learned to overcome his learning disabilities, excelled in school, became a voracious reader, and even decided he wanted to write books of his own. He recently completed his first manuscript for a novel, which is longer than anything I’ve ever written! BZ: As a teacher I have seen first-hand the improved self-esteem that kids with ADHD and/or dyslexia have felt after reading about Percy. Is this something you hear a lot from your readers and their parents? RR: I always love when a child tells me they started reading because of Percy Jackson. I get thank you notes from parents, teachers and kids all the time, and that is the most gratifying part of my job. BZ: Did you read to your children when they were younger? How important do you think it is that parents read to and with their kids? RR: Yes, absolutely. I still read to my sons, as they are usually the first ones to hear each of my new books. It’s critical that parents model reading for their children, and treat reading as a family experience. If the parents are too busy to read, it’s a given that children will model that behaviour. BZ: I have emails from my blog readers saying that their sons find reading boring. What advice would you give these parents? RR: It’s very important to match readers with the right books. Every boy is different, but there are books out there that can appeal to almost any reader – male or female. Nonfiction counts as reading. A sports magazine counts. So do manga or graphic novels. Some boys love fantasy, some love thrillers. Try many different things, and above all strike up a good relationship with a librarian or bookseller. They have a wealth of information about titles that appeal to boys. BZ: What other tips do you have for parents of children who are reluctant readers, or who are diagnosed with ADHD and dyslexia? RR: When it comes to encouraging readers, one size definitely does not fit all, but a few things tend to work well for most families: Have a family reading time every night. It doesn’t matter what you read, as long as you are reading. Provide the space and instil the habit. Second, let your children have a wide selection of material to choose from, and let them make their own choices (as long as they choose something!) Try different strategies to make reading more comfortable. Some reluctant readers do well with e-readers because it makes the text seem less daunting. Some kids prefer physical books. Sometimes dyslexic children benefit from using a straightedge to follow lines of text, or reading on a different colour background, like blue or red. Audiobooks are also very useful for some reluctant readers. I’m rather ADHD, and I always have a stress ball in my hand when I try to sit with a book. It gives me an outlet for that nervous energy and actually improves my focus. Most of all, don’t despair! My own son is proof that reluctant readers don’t have to be reluctant forever. Again, my heartfelt thanks to Rick for agreeing to take part in this and for sharing his experiences with us. I know that these answers will go some way to helping ease the worries of some of the parents who read this blog. My thanks also go to Justin at just so for asking me if I would like to be involved in the blog tour and making my year! Heroes of Olympus, Percy Jackson and Kane Chronicles author Rick Riordan streamed exclusively live into your school assembly. Well done and thank you to all of you who entered. I will now endeavour to contact the winner through by email. Please reply within 48 hours or I will draw another name out of the hat. Many thanks to William for providing the prize. I have stated before on The Book Zone that I love history, although thanks to a poor teacher at school it was a subject that I neither loved nor excelled at as a teenager. I have also said that my favourite periods of English History are, in this order: The Tudor period; the period of the English Civil War and the subsequent Restoration; and the Victorian era. It was with huge excitement then that I read some time ago about a book called VIII by Harriet Castor that was scheduled for a 1st October release. If I could meet any one person from the history of Britain in would be Henry VII, and whilst he has been written about many times in adult fiction, and I have a number of brilliant non-fiction titles about his life on my shelves as well, to my knowledge there has yet to be a YA fiction title that focuses on his life. I was even more chuffed when the good people at Templar asked me if I would be interested in taking part in Harriet's blog tour, and I feel honoured to be launching that tour for Harriet here on The Book Zone with her post about the enduring appeal of Henry. What is it with Henry? When you hear the name Henry VIII, what image springs to mind? A big-bellied guy with a beard, standing with his legs apart, eyeballing you from a 16th-century painting? Or one of the Horrible Histories actors singing ‘Divorced, Beheaded and Died’, complete with the actions? Or perhaps Jonathan Rhys Meyers, as he appeared in the recent US TV series The Tudors, pouting moodily from a poster, draped in velvet and a wife or two? Henry always seems to be with us in some form. Every historic house with a Henrician connection trumpets it to the rafters. Tony Robinson digs up his palaces on Time Team, David Starkey stalks through his chapels and libraries (when he’s not making incendiary appearances on Newsnight), and exhibitions of Henry’s armour /paintings /favourite ship are perennially popular. Why? Revolutionary things happened in Henry’s reign – that’s true. But some pretty nation-shaking events occurred in the time of Charles I and Oliver Cromwell, for example, and we don’t seem to find those men – as personalities – so enduringly fascinating. The wife-killing aspect shouldn’t be underestimated, of course. Henry’s been called ‘the English Bluebeard’ and there’s a grisly fascination embedded in that ‘Divorced, Beheaded, Died’ rhyme. But I think Henry’s status as a national icon rests on something else as well. Something of which we’re not, perhaps, consciously aware. Something that an in-depth knowledge of the Star Wars films might help illuminate. Let me explain. Henry was a brilliant youth – unusually virtuous, we’re told, and built most definitely in the heroic mould: over six foot tall, muscular, good-looking and (annoyingly for his friends, no doubt) ridiculously talented at sports. His particular passion was for what today would be called an ‘extreme sport’: jousting. A sport so dangerous, men regularly made their wills before playing. He had all this… and yet he turned, to use a well-known phrase, to the dark side. This is an archetypal story, a fallen angel story – it’s like a myth, or a fairytale; one of those story patterns that have fascinated people of all ages for centuries. I suspect that if we don’t know this consciously, we sense it by instinct. George Lucas has talked freely about how much use he made of myths and archetypes in the Star Wars screenplays. And one of the most crucial moments in the writing of my book VIII was the moment I realised just how similar Henry’s story is to Anakin Skywalker’s. Anakin: the young hero who becomes Darth Vader. He’s a golden, heroic youth who turns to the dark side – like Henry. He’s addicted to risk, to dangerous sports – like Henry. He’s very close to his mother – like Henry. And he loses her when he’s young – also like Henry. In watching Anakin on-screen, we identify with his grief, his struggles with the temptations of the dark side… Why, I began to wonder, had no one ever shown me this aspect of Henry? Yes, there are plenty of books about him, and you can find detailed, fascinating accounts of what he did as well as speculation as to why – he needed a son, he was tired of his wife – but I’ve never read anything that made me identify with him… that drew me right into his mind, and made me understand why he acted in the extraordinary way he did. The key to that question – why? – lies, I believe, in Henry’s childhood and teenage years: dramatic, traumatic years that usually we simply don’t hear about. And, despite the gap of half a millennium, there is so much here that modern readers can relate to: losing a parent; sibling rivalry; being the ‘other one’, not the favourite; desperate feelings of inadequacy. To top all that, just imagine: you are handed absolute power at 17 years of age. At your coronation you are anointed with holy oil – you and everyone around you believes this makes your very flesh divine. What does that do to your head? In writing VIII I’ve set out to answer that question. I’ve taken the reader right inside Henry’s mind, not just to find the answer, but to experience it too. My huge thanks to Harriet for taking the time to write this post. 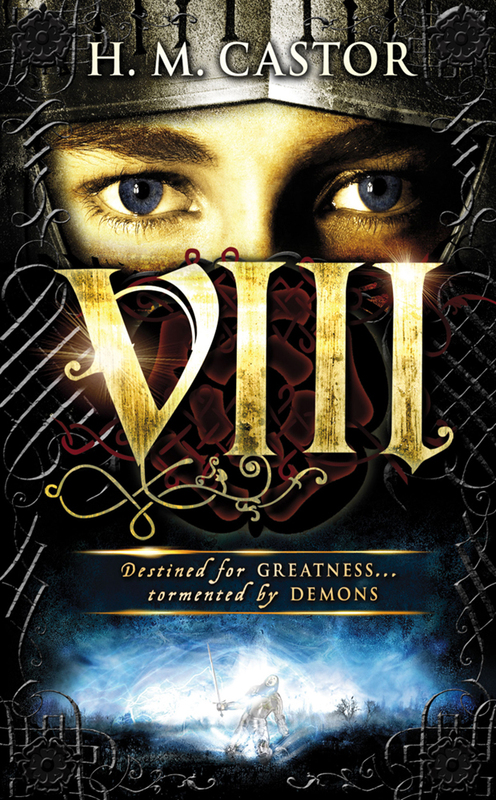 I have read VIII and will post my review fairly soon - not only is it a brilliant historical read, but it is also a pretty scary thriller and I have a feeling it will become a popular book with both teens and adults. Ty has always known that the ocean is a dangerous place. Every time he swims beyond the borders of his family's subsea farm, he's prepared to face all manner of aquatic predators-sharks, squid, killer whales . . .
What Ty isn't prepared to find in the deep is an entire township chained to a sunken submarine, its inhabitants condemned to an icy underwater grave. It's only the first clue to a mystery that has claimed hundreds of lives and stands to claim two more - lives very precious to Ty and his Topsider ally, Gemma. Now in a desperate race against the clock, Ty and Gemma find themselves in conflict with outlaws, Seaguard officers, and the savage, trident-wielding surfs - plus a menagerie of the most deadly creatures the ocean has to offer. Back in July 2010 I posted a review of Dark Life by Kat Falls. I loved that book and said at the time that I would be very disappointed if it didn't turn out to be the first book in a series, and I am glad to say that thanks to Kat Falls and Simon and Schuster I have been spared that feeling of disappointment, and even more so because its sequel, Rip Tide, it is just as good as its predecessor. After the events of Dark Life Gemma managed to mere three months living with Ty and her new adopted family before panic attacks forced her to move back above the waves. Since then she has been sleeping in little more than a large cupboard at the Trade Station, although is still happy to make the occasional submarine trip with Ty as long as she doesn't have to enter the water physically. Unfortunately events at the beginning of this sequel leave her with no option but to don a dive suit and within minutes she is again seemingly paralysed with fear and vowing never to go in the water again. Apart from missing Gemma living with him and his constant worrying about her terror of the sea things have moved on quite nicely for Ty, his family and the other settles since the end of Dark Life. The government has given them permission to sell their agricultural produce on the open market, and his parents are looking forward to their first big deal with the inhabitants of Drift, a floating township. However, on the day before the deal is due to go down Ty and Gemma stumble across another one of these townships, deliberately sunk and hidden in 'the biggest trash vortex in the Atlantic' with all of its inhabitants still on board. Things go from bad to worse when the very next day Ty's parents are kidnapped midway through their deal with the people of Drift, and so begins Ty's quest to find and rescue them. I likened Dark Life to a western beneath the waves, with the story of the settlers and their problems with bandits very reminiscent of some of the western films I watched when I was younger. Whilst there are still some of those elements present in Rip Tide, this time around the story is more of an action/adventure tale with barely a page going by without Ty or Gemma facing one kind of danger or another. Kat Falls has a wonderful economy with words. If this were a fantasy story written for the adult market we would have to endure endless chunks of text about the world and its politics and the book would probably have ended up twice as long as its 314 pages. This is the perfect example of quality of quantity and Kate Falls delivers a story where the locations are well developed and easily pictured in mind of the reader. Her characters are also all perfectly realised, and there are some new additions in this book, some good, some bad and some downright nasty. As well as finding out a little more about Gemma's brother Shade and the members of his Seablite Gang, we also meet Mayor Fife and his nasty righthand man Ratter, Captain Revas of the Seaguard and Hadal, chief (or sachem) of Drift. Kat Falls weaves a plot where it is nigh impossible to work out the motives of these various people, and it isn't until the very last chapter that we finally discover exactly what is going on and why. 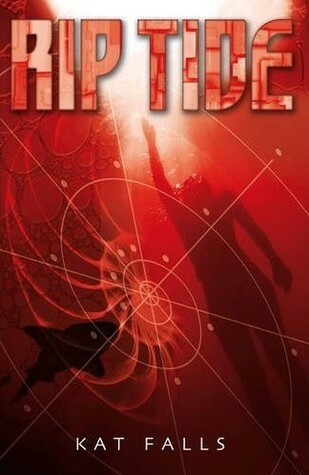 I think that Rip Tide would make a really good class reader for an 11+ english group. Not only is it very well written with a brilliantly imagined futuristic setting, but it would also give rise to many class discussions relevant to the world in which we live, on such topics as discrimination (e.g. the prejudice faced by Ty when surface dwellers see his shine), corruption (the way the government and various other characters in power act), and poverty (the members of the townships have a fairly low quality of life) and sustainability (for the township dwellers nothing is ever thrown away if it can be reused, recycled or repaired). Rip Tide was published in the UK by Simon and Schuster at the beginning of August and my thanks go to the good people at S&S for sending me a copy to review. Hopefully there will be more adventures of Ty and Gemma to come in the future. To find out more head on over to the Department 10 Exists Facebook page. But before you do, there is more. Want to be in with a chance of winning a signed copy of the new paperback edition of Department 19? 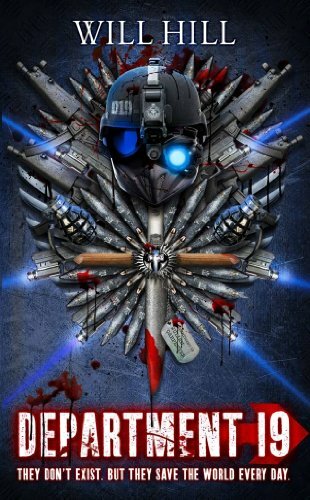 All you have to do is fill in the form below before 8pm GMT Friday 30th September and the first person drawn at random will win that prize, as well as a copy of the new D19 poster (open to UK residents only). Contest open to UK residents only. At the end of August I went to watch Batman Live at London's O2 Arena. Although the show was quite obviously aimed at the younger end of the market both my wife and I loved it, and I got the feeling that most of the rest of the audience did as well. The character costumes based on Jim Lee's character designs looked amazing on the big stage, and I only wish I could have been a little nearer to see them in close-up. However, a very small part of my enjoyment was marred by an observation I had made relating to the merchandise that was on sale pretty much everywhere you looked both inside and outside the Arena. Programmes were being shifted by the truckload at £15 a copy, with pretty much every child there trying to badger their accompanying adult into buying them a copy. A quick glance through showed that these programmes, attractive though they were, were very image heavy and light on the text, and this got me thinking. If I had been one of those parents I would have told my child that I would not buy them a programme but would instead, on our return home, buy them a batman graphic novel or one of the DC New 52 comics. From this one thought my mind started making more connections. 2011 has been a year that has seen a string of super-hero films in the cinemas, and I imagine that the likes of Green Lantern, Thor, Captain America and X-Men: First Class have had audiences chock-full of younger viewers who could be classified as reluctant readers. At school we have tried to capitalise on the appeal and success of these films by making sure we are well stocked with a variety of DC and Marvel books, thanks in no small part to our local Education Library Service, and so I thought I would share some of these titles with you. That way, if your son says reading is boring but loved one of these super-hero films you could surprise him with a related graphic novel that might just be the catalyst that has him wanting more. Not as 'glossy' as some Batman stories this is a gritty and hard-hitting look at the origins of Batman and his mission to rid Gotham City of its plague of crime. We are introduced to a Bruce Wayne before he dons his disguise for the first time, as well as a Lieutenant Jim Gordon, newly assigned to Gotham City and quickly discovering that corruption is rife amongst the ranks of its police force. Both men have what appears to be an impossible task ahead of them and it isn't long before their paths begin to cross. Classic Batman villains are not present in this story, and it is all the better for this, although the ending leaves us with Gordon pondering on reports of somebody threatening to poison the Gotham reservoir with the words "Calls himself the Joker". Batman: Year One is probably going to have more appeal to slightly older teens as its dark storyline may be a little much for the under 13s. Fans of the Dark Knight are sometimes divided over this story, but it remains one of my all-time favourites and I know a number of boys at school who have read it share my love of it. The first thing that grabs the reader on first opening this book are the truly stunning images created by Jim Lee to accompany Jeph Loeb's story; many of the classic villains are present including Riddler, Joker, Harley Quinn and Catwoman and in my opinion they have never been so beautifully drawn as they are by Jim Lee in this book (although I hasten to add that my experience is still rather limited and should any Batman fan wish to point me to even better images then I will gladly go there). My experience of Green Lantern stories is rather limited and this may be why I quite enjoyed the film earlier this year where long-time fans of the character found it more than a little disappointing. Green Lantern: Secret Origin is, however, a great trade paperback collection for those seeking an introduction to Hal Jordan and the retelling of his becoming a Green Lantern. Another popular title since we introduced it to the school libary. Started back in 2001 Mark Millar's Ultimate X-Men is the perfect entry point to the Marvel mutant universe for young readers. I have said before that as someone who has not grown up buying a lot of Marvel comics I have sometimes found it difficult to 'break in' to the Marvel universe. In this series author Mark Millar, more than ably assisted by a host of incredibly talented artists, completely reimagines the X-Men story, starting from their beginnings as a band of mutants fighting for good. Familiar characters like Professor Charles Xavier, Cyclops, Storm and Wolverine are all present, and the stories are all exciting and guaranteed to have boys turning pages excitedly to find out what happens next, and then going back though the books to gaze longingly at the stunning artwork. There are now four volumes, titled "Ultimate X-Men: Ultimate Collection", each with more than 300 pages, and I highly recommend them. If your son is more of a spider-man fan then why not try the Ultimate Spider-Man series instead? In a similar way to Ultimate X-Men, these volumes (of which there are more than twenty) go right back to the origins of how Peter Parker becomes the webslinging super-hero and well-loved characters like Mary Jane Watson, Aunt May, Green Goblin and Doc Octopus are all present. This list is far from being exhaustive and I know that there will be some DC and Marvel fans reading this who will shout "What about....?" As I have said many a time on The Book Zone, this is an area that I am still slowly learning about for myself and I am therefore more than happy to hear from readers about any entry-level recommendations they might have. This also explains the absence of Superman from this list, although having enjoyed the recent DC New 52 #1 issue of Action Comics then this is something that may change in the future. #edit: Following my tweeting of this post one of my Twitter followers mentioned the DC and Marvel comic apps that are available, and that are a great way of engaging boys with reading, possibly without them even realising it. I will endeavour to find out more about these and create a post of this subject in the future. It was just another school trip... When their ski-coach pulls up at a cafe, and everyone else gets off, new girl Bobby and rebel Smitty stay behind. They hardly know each other but that changes when through the falling snow, the see the others coming back. Something has happened to them. Something bad...Soon only a pair of double doors stand between those on the bus and their ex-friends the Undead outside. Time to get a life. Back in May Steve Feasey, author of the brilliant Changeling series, wrote a great post about the appeal of zombies for The Book Zone, starting with the question as to why they are so popular when as monsters they are so unappealing on the face of things. Whatever the reasons, zombies are incredibly popular with boys, and my experience at school suggests that they rank far above vampires as the boys' monsters of choice (perhaps its a hygiene thing with boys preferring the dirty, unwashed, grunge image). Over the past handful of years zombies have enjoyed something of a revival (no pun intended) in kids literature, with the likes of Charlie Higson and Jonathan Maberry leading the way, but now Kirsty McKay wants some of the action as well and her Undead is certainly a worthy addition to the ranks. 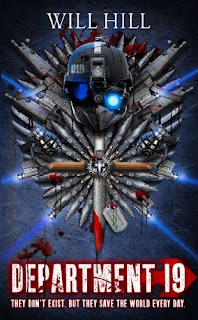 If you are a seasoned reader of zombie stories then your first thoughts of Undead will most likely be similar to mine: it doesn't really bring anything new to the party, and is something of an A to Z of zombie film cliches. However, as an introduction for new readers to the genre who are 11+ there is probably little better than this book. Weighing in at less than 300 pages it isn't as hefty a tome as Charlie Higson's The Enemy, and whilst it is just as gory in places it also comes with a liberal dosing of humour throughout. In fact, it is closer in tone to Shaun of the Dead than Dawn of the Dead, and its characters are very much in line with Grange Hill or some of those brat pack movies of the 80s such as Some Kind of Wonderful and The Breakfast Club. I have read some comments about Undead that criticise the book for its characters being stereotypes. Yes, the teen characters read like a list of must-include-in-any-school-drama but for me this made the story work all the better. Admittedly this means that there were few surprises and the actions of the characters were quite often predictable but this just added to the comedy factor for me and I couldn't help but read the book in a single sitting I was enjoying it so much. The flow of the story was another element that contributed to this 'can't put it down' feeling - Kirsty McKay has this completely nailed, with her relatively short chapters and fast-paced prose this really is a sit-up-all-night-to-finish book for horror loving kids that want to dip their toes in the zombie-lit pool for the very first time. Undead was published on 1st September and my thanks go to the good people at Chickenhouse for sending me a copy to review. At the beginning of September OUP published the third and final book in William Hussey's superb Witchfinder trilogy. Now, thanks to the generosity of William I have the third official signed set of books to give away to one lucky reader of The Book Zone. 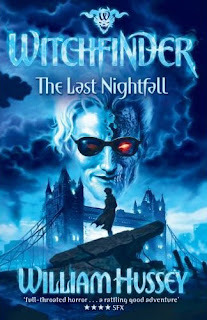 Each book will have a confirmation signed by William on the title page - something like 'The Official 3rd Signed Set of the Complete Witchfinder Trilogy, dated...' then the winner's name & a dedication. In order to be in with a chance of winning this fab prize all you have to do is fill in your details on the form below. The first name drawn at random after the closing date will win this signed set of books. Deadline for entries is 8pm GMT Monday 26th September. This contest is open to UK residents only. Last week I was doing one of my occasional trawls through Amazon to see what books were due to be published in the coming months and I spotted Fire Storm, the fourth instalment in Andrew Lane's brilliant Young Sherlock Holmes series. I loved the first three books, so noted the date down excitedly (7 October for those of you who are eagerly awaiting this book), and then spotted that it was listed as a hardback edition. Here in the UK the first three books have all been released as paperback editions only, unless like me you have been buying the special edition signed hardbacks from Goldsboro Books in London. I rattled off a quick email to Sally at Macmillan and she replied to confirm that this was indeed the case. Knowing I was a fan she then went on to ask me if I would like to feature a preview of the first chapter of Fire Storm here on The Book Zone. 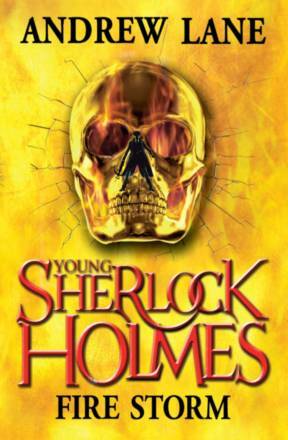 That's a little like asking if the Pope is Catholic and so, for your delectation, here is the first chapter of the new Young Sherlock Holmes book, and all I can say is: Yes, yes, yes! Mrs Eglantine! Yes! Is this the book where we finally start to discover a little more about the mysterious, and seemingly rather nasty, housekeeper at Holmes Manor? Sherlock felt his confidence shrivel up like a dry autumn leaf. ‘I didn’t think it was that bad,’ he protested. He rubbed the back of his neck and wandered away, obviously struggling to find a way to explain to Sherlock just what he was doing wrong. He was wearing a loose striped shirt with the sleeves roughly rolled up and a waistcoat that seemed to have come from a decent suit, but his trousers were rough corduroy and his boots were scuffed leather. He swung round to look at Sherlock for a moment, and there was a kind of wild bafflement in his face, along with what Sherlock realized with a sickening twist of his heart was disappointment. Sherlock turned away, not wanting to see that expression in the face of a man he considered a friend as well as a kind of older brother. He let his gaze roam around the room they were in – anywhere so that he didn’t have to look at Stone. They were in the attic of an old building in Farnham. Stone rented a room on the floor below, but his landlady had taken a shine to him and let him rehearse and practise his violin – and teach the one music student he had so far taken on – in the expansive attic area. The space was large and dusty, with beams of sunlight penetrating through gaps in the tiles and forming diagonal braces that seemed to be holding the triangular roof up just as well as the wooden ones. The acoustics, according to Stone, were marginally worse than a hay barn, but considerably better than his room. There were boxes and trunks stacked around the low walls, and a hatchway off to one side that led down, via a ladder, to the upper landing. Navigating the ladder with a violin and bow clutched in one hand was tricky, but Sherlock liked the isolation of the attic and the sense of space. One day, he thought, I will have my own place to live – somewhere I can retreat from the world and not be bothered. And I won’t let anyone else in. Pigeons fluttered outside, blocking the sunlight momentarily as they roosted. Cold penetrated the attic from the street, fingers of frosty air finding their way through the spaces between the tiles. He sighed. The violin felt heavy in his hand, and somehow clumsy, as if he had never picked one up before. The music stand in front of him held the score of a piece by Mozart – a violin transcription, according to Stone, of a famous aria called ‘The Queen of the Night’s Song’ from an opera called The Three Oranges. The black notes captured between the lines of the staves were, as far as Sherlock was concerned, like a code, but it was a code he had quickly worked out – a simple substitution cipher. A black blob on that line always meant a note that sounded like this – unless there was a small hash in front of it that raised it slightly to a ‘sharp’, or a small angular letter ‘b’ that lowered it slightly to a ‘flat’. A sharp or a flat was halfway towards the note either directly above or directly below the one he was playing. It was simple and easy to understand – so why couldn’t he turn the written music into something that Rufus Stone could listen to without wincing? could – flowing and beautiful, like a rippling stream. Four strings! The violin only had four strings! How hard could it be? ‘That doesn’t make any sense,’ Sherlock responded defensively. ‘Then where does the feeling come from in music?’ Sherlock asked plaintively. ‘But the notes are all that’s on the paper!’ Sherlock protested. That was pretty much the way it was, Sherlock thought. ‘Should I give up?’ he asked. ‘Are there any?’ Sherlock asked dubiously. Sherlock raised the violin to his shoulder again, tucking it into the gap between his neck and his chin. He let the fingers of his left hand find the strings at the end of the neck. He could feel how hard his fingertips had become under Stone’s relentless tutelage. He brought the bow up and held it poised above the strings. Sherlock gazed at the notes on the page, but rather than trying to understand them he let his gaze slide through them, looking at the page as a whole rather than each note as something individual. Looking at the wood, not the trees. He remembered from a few minutes before what the notes were, then took a deep breath and started to play. The next few moments seemed to go past in a blur. His fingers moved from one string to the next, pressing them down to make the right notes, fractionally before his brain could send his fingers a signal to tell them what the right notes were. It was as if his body already knew what to do, freeing his mind to float above the music, looking for its meaning. He tried to think of the piece as if someone was singing it, and let his violin become the voice, hesitating on some notes, coming down heavily on others as if to emphasize their importance. He got to the end of the page without even realizing. ‘I’m . . . not good with emotion,’ Sherlock admitted in a quiet voice. He threw the violin into its case and half climbed, half slid down the ladder to the upper landing, then thudded down the stairs to the ground floor. Stone’s landlady – a woman of about Stone’s own age, with black hair and green eyes – came out of the kitchen to say something as he ran past, but he didn’t catch what it was. Within seconds he was out in the crisp, cold sunlight. Farnham was as busy as it ever was: its cobbled or muddy streets filled with people heading every which way on various errands. Sherlock paused for a moment, taking in the scene – the clothes, the postures, the various packages, boxes and bags that people were carrying – and tried to make sense of it. That man over there – the one with the red rash across his forehead. He was clutching a piece of paper in his hand as if his life depended on it. Sherlock knew that there was a doctor’s surgery a few minutes’ walk behind him, and a pharmacy just ahead. He was almost certainly heading to pick up some medicine after his consultation. The man on the other side of the road – good clothes, but unshaven and bleary-eyed, and his shoes were scuffed and muddy. A tramp wearing a suit donated by a church parishioner, perhaps? And what of the woman who passed by right in front of him, hand held up to push the hair from her eyes? Her hands looked older than she did – white and wrinkled, as if they had spent a long time in water. A washerwoman, obviously. Was this what Rufus Stone had meant about seeing the wood instead of the trees? He wasn’t looking at the people as people, but seeing their histories and their possible futures all in one go. For a moment Sherlock felt dizzy with the scale of what he was staring at, and then the moment was gone and the scene collapsed into a crowd of people heading in all directions. Sherlock turned to find Matthew Arnatt – Matty – standing beside him. The boy was smaller than Sherlock, and a year or two younger, but for a second Sherlock didn’t see him as a boy, as his friend, but as a collection of signs and indications. Just for a second, and then he was Matty again – solid, dependable Matty. ‘Albert isn’t well then,’ he said, referring to the horse that Matty owned, and which pulled the narrowboat he lived on whenever he decided to change towns. ‘What makes you think that?’ Matty asked. ‘Oh.’ Sherlock filed that away for later consideration. ‘How did you know I was here?’ he asked eventually. Sherlock thought for a moment. Should he spend some time with Matty, or go and see Virginia? ‘And maybe I could hang you upside down from a bridge with your head under water up to your nose,’ Sherlock replied. Matty just gazed at him. ‘I was only jokin’,’ he said. Matty flashed a quick smile of thanks and scooted away, ducking and diving through the crowd until he was lost from sight. ‘Holmes Manor,’ he shouted back. As Sherlock threw his violin up the side of the still-moving cart and clambered up after it, falling into a deep mass of hay, he wondered why it was that he still didn’t like admitting where he lived. Perhaps he was worried that people might change their attitude if they knew that his family were part of the local land-owning gentry. It was so stupid, he thought, that something as simple as inheriting land and a house from your parents could set you apart from other people. When he grew up he would make sure that he never made social distinctions between people like that. The cart clattered along the road for twenty minutes or so before Sherlock jumped off, calling a cheerful ‘Thanks!’ over his shoulder. He checked his watch. He had half an hour before luncheon: just enough time to wash and perhaps change his shirt. Luncheon was, as usual, a quiet affair. Sherlock’s uncle – Sherrinford Holmes – spent his time balancing eating with reading a book and trying to move his beard out of the way of both his food and the text, while his aunt – Anna – spoke in a continuous monologue that covered her plans for the garden, how pleased she was that the two sides of the Holmes family appeared to be on speaking terms again, various items of gossip about local landowners and her hope that the weather in the coming year would be better than the one that had just passed. Once or twice she asked Sherlock a question about what he was doing or how he was feeling, but when he tried to answer he found that she had just kept on talking regardless of what he might say. He did notice that Mrs Eglantine – the manor’s darkly glowering housekeeper – was conspicuous by her absence. The maids served the food with their customary quiet deference, but the black-clad presence who usually stood over by the window, half hidden by the light that streamed through, was missing. He wondered briefly where she was, and then realized with a flash of pleasure that he just didn’t care. Sherlock finished his food faster than his aunt and uncle and asked if he could be excused. ‘Thank you,’ Sherlock said, and left the table. Uncle Sherrinford’s library smelled of old, dry books, mildew, leather bindings and pipe tobacco. Sherlock felt the quietness as something almost physical as the door closed behind him: an actual pressure against his ears. Sherrinford’s desk was piled high with loose papers of various sizes and thickness. Some were typed, some handwritten in various different styles; most were bound with ribbons or string. As he sat down, not without a tremor of nerves, in Sherrinford’s creaking leather chair, Sherlock realized with a sinking feeling in his heart that the piles were taller than he was, and blocked his view of the rest of the library. This was going to be a long and tedious task. He set to it. The process was simple on the face of it – take a manuscript from the nearest pile, find out who wrote it and when and then place it on one of a number of separate piles on the floor behind him – but of course it wasn’t as straightforward as that. Some of the sermons didn’t have an author named anywhere in them, some weren’t dated, and some had neither date nor name. Sherlock realized quickly that he had to make his judgements based on other clues. Handwriting was one of them. Some of the sermons were obviously written by the same person, based on the jagged, spidery text, and Sherlock could happily place them all in one pile. Other sermons mentioned particular places – churches, usually – which meant he could place them in at least the same geographical area and thus probably assign them to the same person or group of people. After a while he realized that some of the typewritten sermons had the same characteristics – a faded n, a partially raised a – which suggested to him that they might have been typed on the same machine, so he put them together in a pile as well. He didn’t actually read the sermons in any detail – that would have wasted a lot of time that he couldn’t afford – but as he flicked through them looking for indications of ownership and date he still managed to pick up a smattering of details: the ebb and flow of life of the countryside, the unsatisfied yearning for the love of God, the detailed analysis of things that were, in the end, unknowable. He also thought he had an understanding of the characters of the men writing the sermons – one of them serious and dour, terrified of eternal hellfire, another wide-eyed at the beauty of God’s creation, a third focused on details and minutiae and completely missing the wider context. At least one, he thought, was a woman writing sermons for her husband to deliver. All in all, the work kept him busy for a good hour or two, during which he remained undisturbed. After a while he decided to take a break and stretch his aching back. He stood up and wandered away from the desk, amazed at the way the piles of papers didn’t seem to be any smaller despite the fact that he had some fourteen or fifteen other piles on the floor around the desk by now. Sherlock found himself wandering along the shelves of his uncle’s books, letting his eyes idly scan the titles. For a while he wasn’t sure what he was looking for, or even if he was looking for anything at all, but then it occurred to him that he could check to see if his uncle had any books on Bach, or music in general. Maybe he could find out some details on the way composers used mathematics in their music. Although Sherrinford Holmes spent his time writing sermons and other religious tracts for vicars and bishops around the country, his library was more than just a repository of books on Christianity. He had a good selection of works on virtually every subject under the sun. And, Sherlock reminded himself, Johann Sebastian Bach was a noted composer of religious music. He had certainly written a lot of material for the church organ, and Sherlock was fairly sure that he had seen the composer’s name attached to various hymns in the church hymnals at Deepdene School for Boys, as well as in the local church. It would make sense for a religious author to have books about Bach in his collection. Sherlock moved deeper into the shadowy lines of bookcases, looking for anything to do with music. He was out of sight of the door when he heard it open. He assumed it was his uncle, and moved back towards the light to tell him how far the work had progressed, but when he emerged from the aisle between two bookcases he was just in time to see the black bustle of a crinoline skirt vanishing behind a case on the far side of the room. Mrs Eglantine? What was she doing here? She seemed to know exactly where she was going. Confused, Sherlock edged closer, keeping as quiet as he could. He wasn’t sure why, but he had a feeling that she was doing something covert, secretive, and didn’t want anyone to know. She certainly wasn’t dusting the bookshelves – that task was below her station, reserved for one of the parlour maids. Sherlock looked around the edge of the bookcase, keeping most of his head and all of his body hidden. It was Mrs Eglantine. She was kneeling down about halfway along the row of shelves, her crinoline skirt spread out around her, pulling out whole handfuls of books and letting them fall to the carpet. A part of Sherlock’s mind winced to see the books so carelessly treated, some of them lying open with their pages bent or their spines creased. Once she had cleared them out she bent even further down, head close to the carpet, and scanned the space she had created. Whatever she was looking for wasn’t there. With a huff of disappointment she quickly stuffed the books back again, apparently not caring what order they had been in or whether she was putting them back upside down or back to front. She gazed to her left, away from Sherlock. Alerted, he ducked back just as her head began to swing his way. He knew it was fanciful, but he could almost see the intensity of her gaze scorching the carpet and disturbing the dust. He counted to twenty and looked back just as he heard an irregular thumping noise start up. Satisfied that she wasn’t being observed, she was sweeping another row of books, higher up this time, off their shelf and letting them fall to the floor. Again she looked carefully into the space before grimacing in disappointment and shoving the books back pell-mell. Sherlock looked up, shocked. There, at the other end of the line of bookcases, was Sherrinford Holmes. He must have come in quietly, without either Sherlock or Mrs Eglantine noticing.